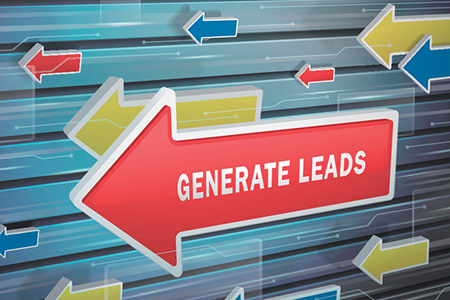 Although you may be busy closing deals this spring and summer, lead generation is still an important part of your daily routine, especially if you want a full pipeline come fall. For many agents, generating leads is a frustrating process that involves cold calling or internet advertising and hoping for a positive response; however, the most effective way to generate new leads is by connecting with your past and current clients and asking for referrals to other great people just like them who could use your help with the buying and selling process. Many agents lose touch with their clients once the real estate transaction is over, which can be a costly mistake. By continuing to serve clients long after the sale, you distinguish yourself as a professional and build your reputation as a trustworthy referral to your clients' family and friends. Grow your database. By maintaining contact with your clients and leads, you're well positioned to add to your database. As your network expands, so will your business. Build and deepen your relationships. As you get to know your clients better, and vice versa, your relationships will grow. Over time, you'll build trust and your clients will begin to rely on you as their real estate expert. Listen for an opportunity to serve. Each time you connect with your clients, listen for a need you can fill. For example, if they mention they need to paint the house, connect them with a painter in your network. Not only will your clients be thrilled by the level of service, they'll also appreciate that you listened to them. Stay at the top of their minds. Connecting with your clients consistently will help ensure they think of you when they, or someone they know, is thinking of buying or selling a home. Help them remember to refer you by asking for referrals whenever you speak with them. When you work by referral, generating leads involves getting in touch with your best clients. What's more fun than that? Take advantage of the warmer weather as you generate leads this summer. Surprise them with a special treat. Whether you pop by your clients when they're home or at the office, a special treat, such as a favorite cold beverage, a beautiful houseplant, or even condiments for their next barbeque, will show your clients you're thinking of them and that you care. They'll be excited that you surprised them with a thoughtful token of appreciation. Ask them to lunch. What better way to get face-to-face with a favorite client than by breaking bread with them? Make reservations at a client's favorite restaurant or select one with outdoor seating so you can enjoy the season. Plan a client party. Summer is the perfect time to get social with your top clients. Host a beach party, barbecue, picnic in the park…the options are endless! Send your invitations now if you plan to host a party this summer. Lead generation doesn't have to be a bore; it can entail building relationships with your clients while having fun! Just remember to ask for referrals and you can be sure that you'll have leads to last through the fall and beyond. For more information, please visit www.buffiniandcompany.com.